For other people named Deacon Jones, see Deacon Jones (disambiguation). David D. "Deacon" Jones (December 9, 1938 – June 3, 2013) was an American football defensive end in the National Football League (NFL) for the Los Angeles Rams, San Diego Chargers, and the Washington Redskins. He was inducted into the Pro Football Hall of Fame in 1980. Jones specialized in quarterback "sacks" stats, a term which he coined. Nicknamed "the Secretary of Defense", Jones is considered one of the greatest defensive players ever. The Los Angeles Times called Jones "most valuable Ram of all time," and former Rams head coach George Allen called him the "greatest defensive end of modern football". Jones was born in Eatonville, Florida, and lived in a four-bedroom house with his family of ten. Jones attended Hungerford High School, where he played football, baseball, and basketball. During high school, Jones developed a lump in his thigh and learned that it was a tumor; he had surgery to remove it. When he was 14 years old, he witnessed a carload of white teenagers laughingly hit an elderly black church woman with a watermelon. The woman died days later from the injury, and there was never a police investigation. "Unlike many black people then, I was determined not to be what society said I was," Jones later recounted. "Thank God I had the ability to play a violent game like football. It gave me an outlet for the anger in my heart." Jones' college football career consisted of a year at South Carolina State University in 1958, followed by a year of inactivity in 1959 and a final season at Mississippi Vocational College in 1960. South Carolina State revoked Jones' scholarship after they learned that he participated in a protest during the Civil Rights Movement. However, one of the assistant football coaches at South Carolina State was leaving to coach at Mississippi Vocational, and told Jones and some of the other African-American players that he could get them scholarships at the new school. While he was playing at Mississippi Vocational, he and his African-American teammates had to sleep in cots in the opposing team's gym because motels would not take them on numerous occasions. Due to a lack of television coverage and scouting technology like computers etc., Jones was largely overlooked. According to an NFL Films interview with writer Ray Didinger, “Deacon was discovered kinda by accident. The Rams were scouting some running backs and they found this defensive tackle who was outrunning the running backs that they were scouting.” Jones was drafted in the 14th round of the 1961 NFL Draft by the Los Angeles Rams. He then earned a starting role as a defensive end and teamed with tackle Merlin Olsen to give Los Angeles a perennial All-Pro left side of the defensive line. He became a part of the Fearsome Foursome defensive line of the Rams (along with Lamar Lundy, Rosey Grier, and Olsen), which is now considered to have been one of the best defensive lines of all time. me, so I've got to be the baddest dude I know of." Jones won consensus All-Pro honors five straight years from 1965 through 1969 and was second-team All-Pro in 1964, 1970, and 1972. He was also in seven straight Pro Bowls, from 1964 to 1970, and was selected to an eighth after the 1972 season with the San Diego Chargers. He was voted the team's Outstanding Defensive Lineman by the Los Angeles Rams Alumni in 1962, '64, '65, and '66. In 1971, Jones suffered a severely sprained arch, which caused him to miss four starts, and he ended the season with 4½ sacks, his career-low to that point. In 1972, Jones was included in a multiplayer trade with the San Diego Chargers, where he was an instant success. He was named San Diego's defensive captain and led all Chargers' defensive linemen in tackles and won a berth on the AFC Pro Bowl squad. He concluded his career with the Washington Redskins in 1974. In the final game of his NFL career, the Redskins allowed him to kick the point-after-touchdown for the game's last score. Along the way, Jones was named the Associated Press NFL Defensive Player of the Week four times: week 14, 1967; week 12, 1968; week 11, 1969; and week 10, 1970. An extremely durable player, Jones missed only six games of a possible 196 regular-season encounters in his 14 National Football League seasons. Jones worked as a television actor, and appeared in numerous TV programs since the 1970s, most often appearing in cameo roles. He appeared in an episode of The Odd Couple where he and Oscar were in a television commercial selling shaving products. He appeared on The Brady Bunch, and in a Bewitched episode in 1969, he played a guard to the Giant's castle in "Sam & the Beanstalk". Jones also played himself on an episode of Wonder Woman in 1978. In 1978, he played a Viking named 'Thall' in The Norseman. Fellow Hall of Famer Fred Biletnikoff joined Jones in that film, also portraying a Norseman. That same year, Jones portrayed a fierce defensive lineman named Gorman in the film Heaven Can Wait. In the series G vs E, he played himself, but as an agent of "The Corps". He also played a role in the hit show, ALF, where he played a father figure to Alf. Jones served as a color analyst for Rams broadcasts on KMPC radio in the 1994 season, teaming with Steve Physioc and Jack Snow. In 1998, shortly before Super Bowl XXXII between the Denver Broncos and Green Bay Packers, Jones correctly predicted the Broncos, 11 1/2 point underdogs, would win the game and Terrell Davis would be named MVP of the game. Jones worked for many companies, including the Miller Brewing Company, Haggar Clothing, Pacific Coast Medical Enterprises, and Epson America, and represented the NFL and Champion Products as spokesman for their Throwback campaigns. Jones was also chairman for AstraZeneca Pharmaceuticals in their national hypertension awareness program. NFL.com reported that Jones made several trips to Iraq to visit the U. S. military. Jones served as the president and CEO of the Deacon Jones Foundation, an organization he founded in 1997 "to assist young people and the communities in which they live with a comprehensive program that includes education, mentoring, corporate internship, and community service." Jones was one of the many former L.A. Rams players who disliked the team's controversial relocation to St. Louis in 1995. He was adamant in interviews and appearances to state that he played for Los Angeles, not St. Louis, and considered the Rams franchise there a different team that should have a different name, leaving the Rams name for L.A. He participated in many grassroots efforts to bring NFL football back to L.A. and also voiced support on many of the new stadium proposals . The Rams eventually returned to Los Angeles in 2016, after Jones died. He was elected to the Pro Football Hall of Fame in his first year of eligibility in 1980, and was named to the NFL's 75th Anniversary All-Time Team in 1994. In 1999, he was ranked number 13 on The Sporting News list of the 100 Greatest Football Players, the highest-ranked player to have played for the Rams franchise, the highest-ranked defensive end, and the second-ranked defensive lineman behind Bob Lilly. The same year, he was named by Sports Illustrated as the "Defensive End of the Century". 2005 – Recipient of the Junior Seau Foundation "Legend of the Year Award"
2009 – His number 75 was retired by the Rams on September 27, 2009, at the Edward Jones Dome. 2013 – An award for the league leader in sacks is named in his honor and awarded for the first time. Robert Mathis of the Indianapolis Colts was the inaugural award winner. Jones stated that he gave himself the nickname Deacon after joining the Rams because too many David Joneses were in the local phone book. "Football is a violent world and Deacon has a religious connotation," he told the Los Angeles Times in 1980. "I thought a name like that would be remembered." Deacon Jones's wife Elizabeth is the chief operating and financial officer of the Deacon Jones Foundation, based in Anaheim Hills, California., the community in which the couple lived. 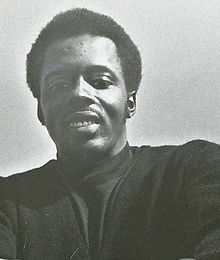 Jones was a rhythm and blues singer during his football days, and was backed by the band Nightshift, which later became the group War. Jones sang onstage with Ray Charles, performed on The Hollywood Palace in 1967 and 1968, and on The Merv Griffin Show in 1970. Jones was the inspiration for the name of the 1977 song "Deacon Blues" by Steely Dan. On June 3, 2013, Jones died at 74 of natural causes after suffering from lung cancer and heart disease at his home in Anaheim Hills, California. Jones's death left Rosey Grier as the last surviving member of the Fearsome Foursome, the L.A. Rams defensive line, which is widely considered the best such unit in the history of the NFL. Of the former defensive standout, NFL commissioner Roger Goodell said, "Even with his fellow Hall of Famers, Deacon Jones held a special status. He was an icon among the icons. ", while Redskins General Manager Bruce Allen, son of Jones's longtime coach George Allen, called him, "one of the greatest players in NFL history. Off the field … a true giant." Sports Illustrated columnist Peter King noted at his death that Jones had a profound effect on the way defense was played in the NFL and cited the influence on such later NFL stars as Lawrence Taylor, Deion Sanders, and Michael Strahan. As a tribute to Jones, the NFL created the Deacon Jones Award, which will be given annually to the league leader in sacks. ^ a b c d e f g h "About Deacon". Deacon Jones Foundation. Retrieved July 18, 2008. ^ a b c d e f "Deacon Jones special: Page One". Pro Football Weekly. Archived from the original on September 5, 2001. ^ a b c Goldstein, Richard (June 6, 2013). "Deacon Jones Dies at 74; Made Quarterback Sack Brutal and Enthralling". The New York Times. Retrieved June 6, 2013. ^ a b c d e f "Deacon Jones' HOF Profile". Pro Football Hall of Fame. Retrieved July 18, 2008. ^ Goldstein, Richard (February 26, 2007). "Lamar Lundy, Lineman on the Rams' Fearsome Foursome, Dies at 71". New York Times. Retrieved July 21, 2008. ^ "10 Burning Questions for Deacon Jones". ESPN. Retrieved July 21, 2008. ^ "Jones, NFL coiner of 'sack the quarterback,' dies at 74". CNN U.S. Cable News Network. Turner Broadcasting System, Inc. June 4, 2013. Retrieved June 4, 2013. ^ Turney, John (June 26, 2000). "Setting the record straight on all of those QB takedowns". Pro Football Weekly online. Retrieved July 21, 2008. ^ See "Headslap" by John Klawitter, 1996. pp. 551-560. ^ "The Norseman (1978)". IMDb. www.imdb.com. Retrieved April 1, 2011. ^ "Deacon Jones, Hall of Fame defensive end, dies at 74". NFL.com. April 9, 2008. Retrieved June 4, 2013. ^ "S.C. Athletic Hall of Fame: Honorees and Inductees". Retrieved June 4, 2013. ^ "Central Florida Sports Hall of Fame". Central Florida Sports Commission. Archived from the original on August 6, 2011. Retrieved June 4, 2013. ^ "Florida Sports Hall of Fame Inductees 1960 to Present". Florida Sports Hall of Fame. Archived from the original on February 26, 2014. Retrieved June 4, 2013. ^ "Spirit Awards Finalists". Archived from the original on February 2, 2014. Retrieved June 4, 2013. ^ "NFL Alumni to Honor Len Dawson, Deacon Jones and Paul Salata". BW SportsWire. August 24, 1999. Retrieved June 4, 2013. ^ "Felix Jones Named 2011 NFL Alumni Spirit Award Recipient". Archived from the original on February 1, 2014. Retrieved June 4, 2013. ^ "Legend of the Year". Junior Seau Foundation. Archived from the original on May 7, 2013. Retrieved June 4, 2013. ^ "FHSAA announces 33-member All-Century football team". FHSAA.org. December 12, 2007. Retrieved June 4, 2013. ^ Burwell, Bryan (September 27, 2009). "Rams finally getting around to retiring Deacon Jones' jersey". St. Louis Post-Dispatch. McClatchey-Tribune News Service. Retrieved March 18, 2014. ^ Alper, Josh (January 2, 2014). "Robert Mathis wins inaugural Deacon Jones Award". profootballtalk.nbcsports.com. Retrieved January 2, 2014. ^ Thursby, Keith. "David 'Deacon' Jones dies at 74; Fearsome L.A. Rams lineman". The Los Angeles Times. Retrieved June 5, 2013. ^ Farrar, Doug. "Legendary defensive end David 'Deacon' Jones dies at 74". Yahoo!. ^ Myers, Marc. "How Steely Dan created Deacon Blues". wsj.com. ^ "NFL Hall of Fame defensive end Deacon Jones dead at 74". Fox News. Retrieved June 4, 2013. ^ Goldstein, Richard (June 4, 2013). "Deacon Jones, Fearsome N.F.L. Defensive End, Dies at 74". The New York Times. Archived from the original on June 4, 2013. ^ "NFL legend Deacon Jones dies at 74". ESPN.com. June 4, 2013. Retrieved June 4, 2013. ^ King, Peter. "Late Deacon Jones would have dominated any era". SI.com. Retrieved January 29, 2016. ^ McIntyre, Brian (June 22, 2013). "NFL to honor annual sacks leader with Deacon Jones Award". Yahoo! Sports. Retrieved June 22, 2013.